"e;The best nature writer working in Britain today. "e; - The Los Angeles Times. Eagles, more than any other bird, spark our imaginations. These magnificent creatures encapsulate the majesty and wildness of Scottish nature. But change is afoot for the eagles of Scotland: the golden eagles are now sharing the skies with sea eagles after a successful reintroduction programme. In 'The Eagle's … Way', Jim Crumley exploits his years of observing these spectacular birds to paint an intimate portrait of their lives and how they interact with each other and the Scottish landscape. 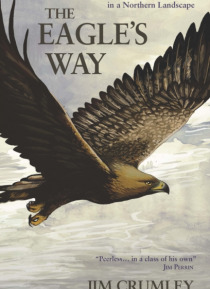 Combining passion, beautifully descriptive prose and the writer's 25 years of experience, 'The Eagle's Way' explores the ultimate question - what now for the eagles? - making it essential reading for wildlife lovers and eco-enthusiasts.